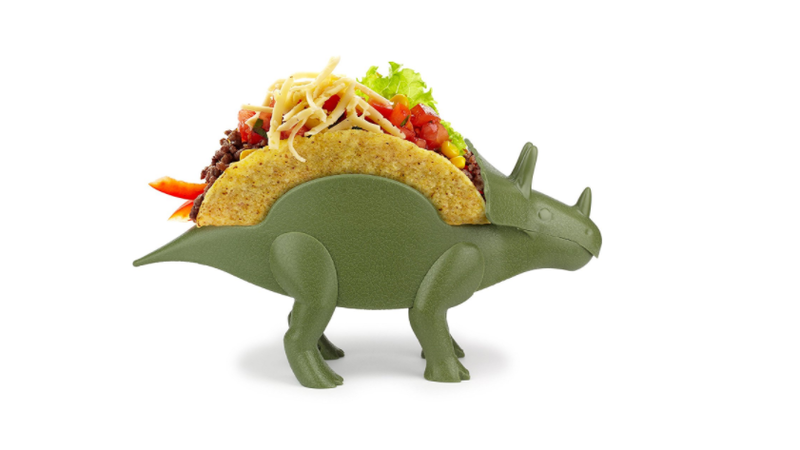 Why Wouldn't You Want A Dinosaur To Hold Your Tacos? The world can be a bleak and unforgiving place, but there are bright spots. 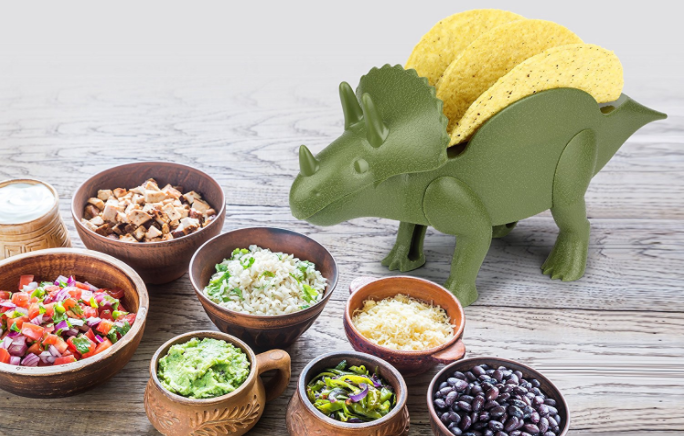 Such a spot exists in the form of this kitchen tool that nobody really needs — but everyone deserves — known as Tricerataco. Though some may decry him as a silly, single-use kitchen accessory, I would urge those naysayers to reconsider, and take a look at how selflessly and bravely he performs his noble, taco-carrying duties. No topping is too heavy. He's also great at parties. 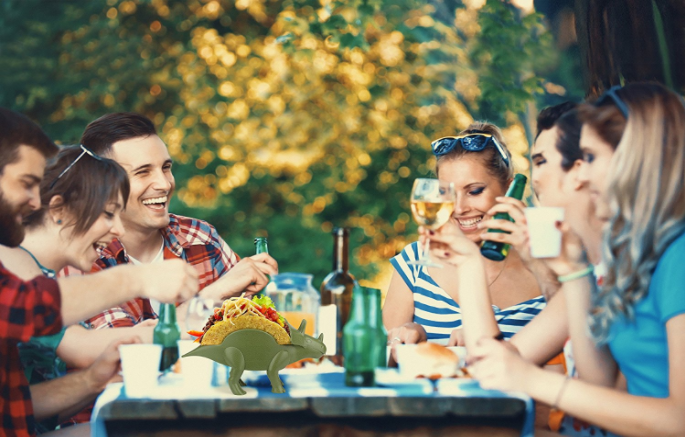 Definitely a real photo of Tricerataco at a party that was not Photoshop'd. If you can think of a better (and more charming) way to keep your crispy-shell tacos upright, with their toppings safely insides, I'm happy to hear it, but I think I'll be waiting a long time. Oh, and if crispy shells ain't your bag, I think this little guy would do a bang up job keeping a Naked Chicken Chalupa vertical, and that alone makes him worth our while. 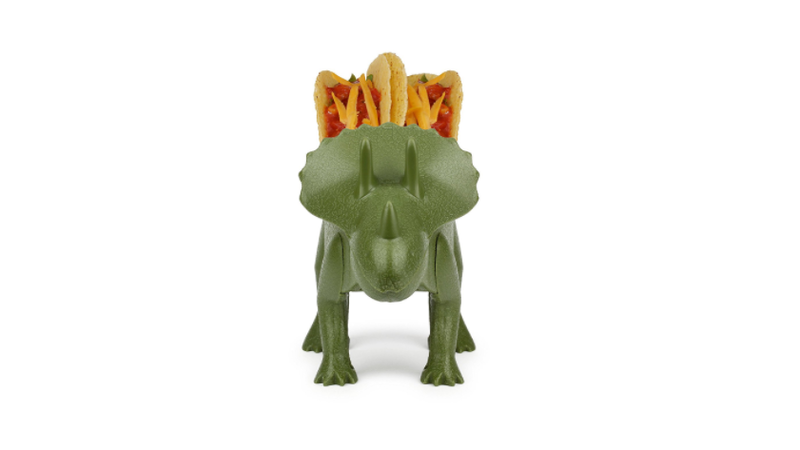 Basically, I love the Tricerataco and will accept no criticism of him. I personally think these hard-shelled tacos are just Mexico's joke on the rest of us. Not only are the hard to fill and keep filled, as soon as you bite into them the entire shell shatters into a thousand pieces spilling the contents everywhere anyway. Meanwhile, Mexicans are quietly sniggering in the background at the poor gringos trying to each their food.